Power and automation technology leader ABB has launched the ABB DC Prefabricated Rail Substations specifically designed to save time and money for customers working in Australia’s rail sector. Fully designed, tested and assembled in ABB’s factories, the new modular substations offer a simple solution for fast-tracking power to both new projects and the replacement of existing substations that are due for renewal. According to ABB’s press release, the substations are flexible, adaptable and easy to install and are based on the company’s modular substations range for the mining sector. “They are fully self-contained, and include an integrated power supply which reduces overall risk to the project,” said ABB Australia transmission and distribution substations sales and service manager, Patrick Naidoo. The new substations allow customers to specify between incoming voltage and outgoing power designs and customise the capacity of the unit to suit their specific operational requirements. 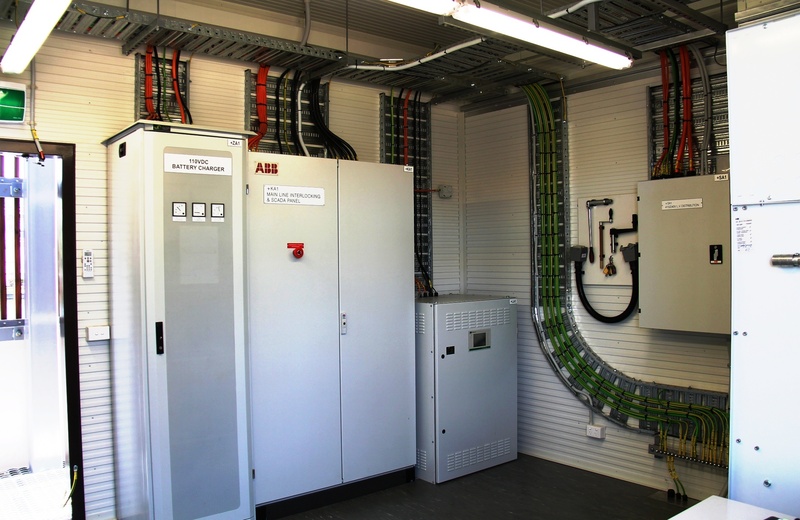 “Three basic rail substation models are on offer: a transportable building DC rail substation with customisable cladding options; a skid-mounted DC rail substation for installation into permanent buildings and a stackable modular design for partial substation refurbishment,” reads ABB’s press release. All of the new substations are also available with an ABB automation system using the latest 61850 protocol.